This theme was created from the movie with transparent icons for best visibility in 720p and tested on 1080p. So it should work for both. 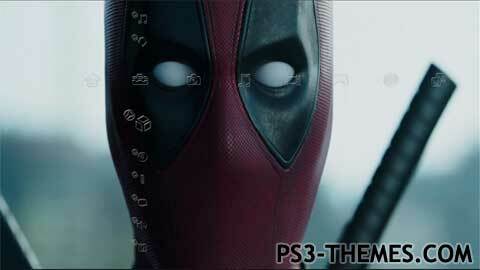 Two sounds provided by Dequan Aquil’s Deadpool theme thats pretty awesome! If you have any comments or suggestions then please feel free to do so. Enjoy! This theme was posted by PS3 Themes on March 17, 2017 at 2:24 pm, and is filed under Dynamic Themes, Movies/TV.